Hard to believe we are on number 30 of Gourmets 50 Most Influential Women in Food. Barbara Tropp was an inspiring and interesting woman. She was a Restauranteur and cookbook author. Born in Springfield NJ in 1948, her father was a podiatrist. Her love of Chinese culture started while taking an art class in high school. She graduated from Barnard College and then received a Master's degree, from Princeton University, in Chinese literature and art. Barbara learned about Chinese cooking while a student of poetic structure in Taiwan. When she returned to the U.S. she dropped out of her doctoral program at Princeton, and moved to San Francisco. In 1982 she published her first cookbook 'The Modern Art of Chinese Cooking: Techniques and Recipes''. James Beard called this book "...a unique achievement. Her intelligent and thorough explanations are detailed and truly great. The choice of recipes is exciting. This is a magnum opus for any cooking addict." She owned and operated a very successful restaurant in San Francisco called the "China Moon Cafe", where she served an innovative form of chinese cuisine. She was interested in bringing together Chinese and European-American mainstream cooking. Her second book, "China Moon Cookbook", was published in 1992. This book won an award from the International Assoc. of Culinary Professionals. Barbara taught cooking as well as serving as as chef in her restaurant for ten years. She sold the China Moon Cafe in 1996 when she became ill. Ms. Tropp fought a courageous battle against ovarian cancer for seven years. She first tried using non traditional Chinese herbs and acupuncture, and later decided to go with chemotherapy. She died on October 6, 2001 at the age of 53. I chose to make her "Baby Sesame Biscotti". This was such a delightful grown-up cookie. Not too sweet...the sesame flavor comes through with your first bite. Delicious! 1. In the bowl of an electric mixer, cream the butter and sugar until light. Add the eggs and continue to beat until well blended. Add the flour, baking powder, toasted sesame seeds, orange peel, and raisins; blend until combined. 3. Divide the dough into 4 equal pieces. Roll each piece into a smooth even log 1 inch thick. Roll each log in the untoasted sesame seeds until coated. 4. Preheat the oven to 350°E Move an oven rack to the middle position. Line 2 large baking sheets with parchment paper. 5. Place 2 of the logs, spaced 5 inches apart, lengthwise on each baking sheet. 6. One sheet at a time, bake the logs until golden, about 20 minutes, turning the sheet midway. 7. Remove the first sheet from the oven and set aside on a wire rack to cool for 10 minutes. Then, while the logs are still warm, slice them crosswise into cookies a scant 1/4 inch thick. Place the cookies on their sides, 1/4 inch apart. 8. Return the sliced cookies to the oven and bake until lightly golden, 7 to 10 minutes. Cool on the baking sheets set on wire racks. Thanks to Mary of One Perfect Bite for this wonderful challenge. These are the other bloggers who are also featuring the recipes of Barbara Tropp. Hope you'll check them out. They are all very talented ladies. Christy, Gourmet on Line picked 50 women who were considered, by Gourmet, to be the most influential women in food. Mary of "One Perfect Bite" decided to cook through the list. I actually forgot to add the list to this post when you checked it out. 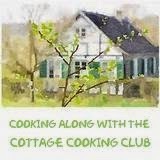 I have since added the list and the links to all the girls cooking along. I love this biscotti recipe, your photos are gorgeous. I'm wondering if there's a way to get some tahini in there, I was just reading a recipe for sesame cookies with tahini and I was dying to try it now I'm thinking I would like to try these biscotti (love the orange and raisins) as I have almost all the ingredients. I actually had dinner at Barabara Tropp's restaurant in SF, back in the day, lol! Those are very cute...I just love "baby" anything. Love all the bits and pieces in them, really makes them fun and delicious looking! Another influential woman I have not heard of...this is such a great series and I am learning about so many wonderful women. I enjoy biscotti so much with a cup of coffee - yours look perfect and perfect for dunking. I keep meaning to bake some biscotti. These look very good! I've been making Italian sesame biscotti for many years but now am intrigued with this - the orange peel - the raisins - very sophisticated! Willing them to come to my breakfast table. Sesame and orange peel...mmmmm! I would really love to try these biscotti, they sound wonderful! Following these "50 most influential women" is such a lovely way to honor them, by cooking and baking their recipes. I never heard of Barbara Tropp, but from reading the interesting post, I must say she was amazing...so sad the she passed away! The biscotti is so perfect, crunchy, and light. I would love to have one with my morning coffee. You did an amazing job, Kathy...as you always do! I cant wait to dip these in my coffee! You picked a great recipe. I wouldnt thought of adding sesame seeds, yes the orange peel though. Love the sesame seeds in these biscotti - great pick for Barbara Tropp! These are a fantastic choice! It was an experience to learn so much about this amazing woman.